Enjoy beautiful views and lots of natural light with our uPVC bow and bay windows in Essex, Middlesex and Greater London. Our variety of uPVC bow and bay windows make a beautiful addition to modern and period properties alike. These windows will transform any standard flat casement window into a stunning feature, making your home in Essex, Hornchurch or Edgware appear bigger and brighter than before. To find out more about our stunning range of bow and bay windows, read on below! We have all the key information you need to start your home improvement project. Bay windows comprise of windows that together make a boxed shape protruding out from the external wall of your home. Making the decision to replace your windows with spacious bay windows in Essex is now even easier. 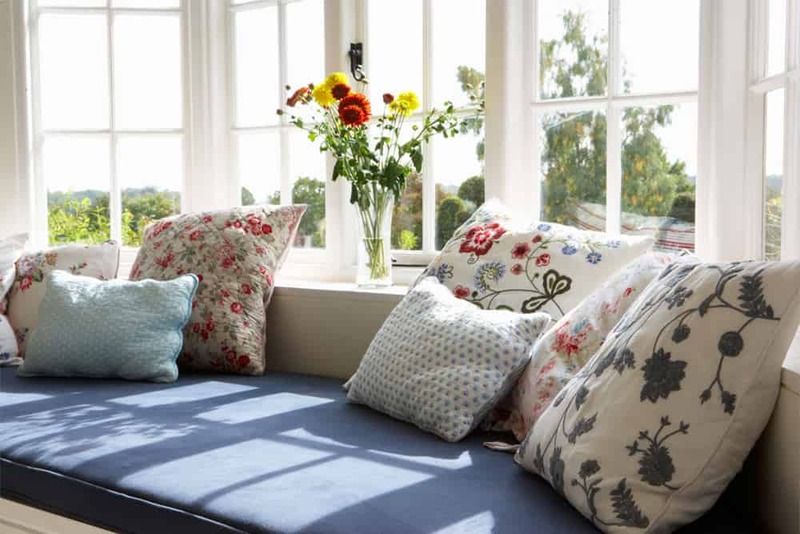 Ensure your property takes on a new lease of life with our range of stunning bay windows. Bow windows are much the same as bay windows, however, they have more of a curved feature. Our range of bow and bay windows are very popular for homes throughout Essex, Hornchurch, Edgware and the surrounding areas. This style of window delivers more light into your home and its curved facet offers an attractive design. 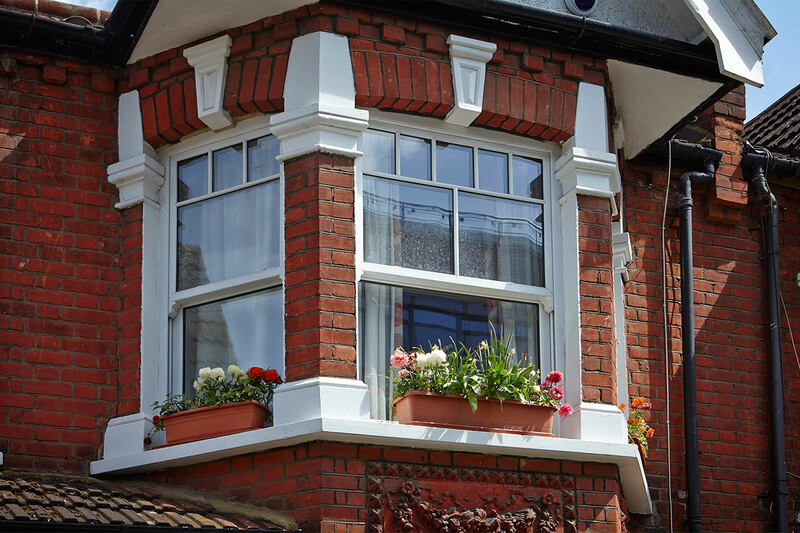 Bay windows are a hallmark in design, offering beautiful aesthetics and larger amounts of space. Create a more personal touch with a variety of colours and finishes, including leaded fanlights for a more personal touch. 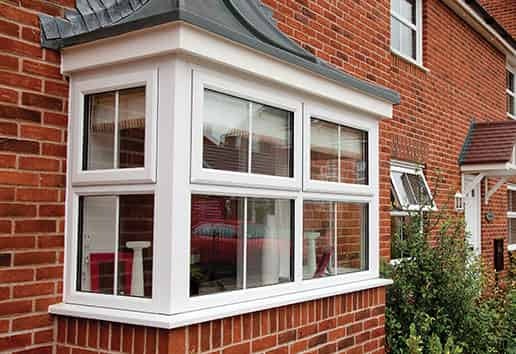 We offer a wide range of window options to ensure your new bay windows are in keeping with your home. 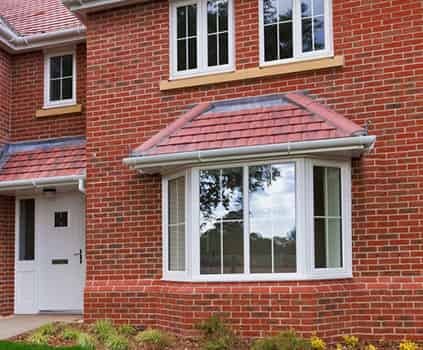 Instead of installing replacement casement windows in a similar style to your old, tired double glazing, give your property a brand new look with our range of bow and bay windows. These bow windows give a feeling of spaciousness from the inside with a stunning appearance from the outside. Our uPVC bow and bay windows are energy efficient and contribute to a greener planet. You could make your home in Essex, Hornchurch or Edgware warmer and reduce your heating costs. Contact our friendly team for more information and a free quote. Each of our bay and bow windows come with an unbeatable Window Energy Rating (WER) of ‘A+’. The tight fit in the allocated space ensured no cold spots are found inside, meaning your home is warmer for longer. Thus, saving you money on your energy bills. We understand the importance of having a home that looks and feels like your own. This is why we offer a range of design options. Our uPVC bay and now windows are available in a choice of styles including three facet, box bay – as well as five facet designs. As well as our range of incredible design options, we also offer a range of customisation options. You can transform the appearance of the bow and bay windows you’ve chosen for your Essex home with decorative options such as sash horns, leaded glass, Georgian bars and astragal bars. To ensure you are getting a set of bow and bay windows that blend in seamlessly, choose from a range of colours. We also offer a range of finishes and glazing options to ensure you are getting heightened privacy. Our range of beautiful bow and bay windows are designed to enhance the look and feel of your home, making them perfect for homes that are smaller and darker. They are exceptional at offering a brighter and more spacious home for you to live in. With your new bow and bay windows installed, you will be able to use them for a multitude of purposes. From a cosy reading area to a comfy new seating area, or an exciting new book shelf, the options are endless. We offer a range of stunning bow and bay windows options to enhance your home and increase the amount of light and space. For more information regarding our bow and bay windows in the Essex, Hornchurch, Edgware and Middlesex areas, contact us using the methods below. Find your unique bow and bay windows price online today using our cleverly designed online quoting engine. It is perfect for ensuring you are getting a tailored quote to suit the bow and bay windows in your specific design. Alternatively, get in touch with us using our online contact form. This will be sent as an email to our team who will be ready to reply as soon as possible. They will be able to answer your questions in detail, giving you tailored advice and a call back at a time that suits you. Or, talk to our team today by giving us a call on 01708 463526. We will be able to give you expert advice over the phone, whilst also providing you with a quick quote to get you started. Get in touch with us today to hear more!